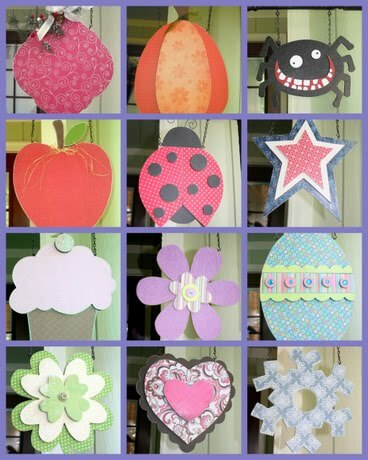 Sweet Pickle Designs: I "Heart" Valentines Day! I'm not sure why I love hearts and Valentines Day so much. I guess I should clarify that last statement, I love Valentine Decorations. I've just been stumped for doo dads to put on them. The most brilliant thought crossed my mind as I was talking to my sister Candace who is the yin to my yang and it occurred to me that my Dr. Pepper can I was guzzling was the perfect matching shade! Seriously could it be any more perfect to make hearts out of? Something I love becoming a decoration for a LOVE holiday???? So yes, with the holidays over I can say loudly "Phewwwwww". It seems silly that a good 4 months of the year is dedicated to all things Santa and Snow. I do like making baby Jesus' though. Maybe it's that I have ADD, but I like to mix it up and work on lots of colorful things. Here are my winter letters. I don't like being reminded of winter blues....so I did something bright! I love the little snowman and his scarf! But I finally got it done and my Hubby was even envious! I even found time to make a ridiculously over sized P for my sister Candace. I have to say, that if you asked me where I'd be a year ago, I never thought I'd be here. but I'm here, and I survived this last year and most of all I have all of you to thank! So THANK YOU to you all! I love your Be Mine letters! We here in Pa are looking forward to a better 2010, too! My husband was laid off the week before Thanksgiving. tough times. I hope 2010 brings you many blessings. you are one cute unibomber! Love the Be Mine letters - I'm going to your Etsy store to order them! The Winter letters are super cute too! I hope everything is working out for your family. Do you sell these at a scrapbook store in Boise too?! My mom always raves about your stuff when she goes there to visit. She even got me the WISH letters this summer. Anyways I love yours stuff! I must have been living under a rock because I can't believe I haven't found your blog before now. I browesed through every post and must say I am blown away. You do fabulous work. I too am a wood crafter and enjoy cutting out wood items. Love my new belt sander I got for Christmas, it makes the sandin part so much easier. Looking forward to many more posts, you're so inspiring. Stumbled across your blog! It's fabulous. Do you only sell locally? I browsed your etsy site but there were only a few items. I'd love to get my hands on some of your stuff! I must admit, I am not very good at taking pictures of what I've done ( I send it out the door before I do ) but, everything I do is made to order. So if you see something you like, I can do it, the only thing that might differ would be the paper which may or may not be available but I always love looking for a good substitution! My wonderful sis keeps "threatening" me (said with a smile) to get my etsy site updated. :) If you have any questions just give me a holler, I'd be happy to respond! Thanks!! !